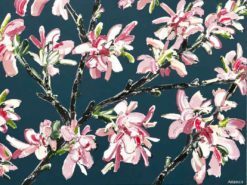 “In Season” is an exhibition that celebrates the colour, texture and sculptural forms that can be found in the Australian landscape. 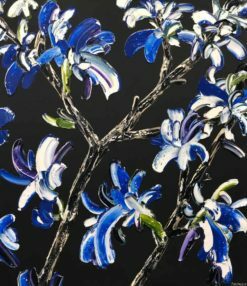 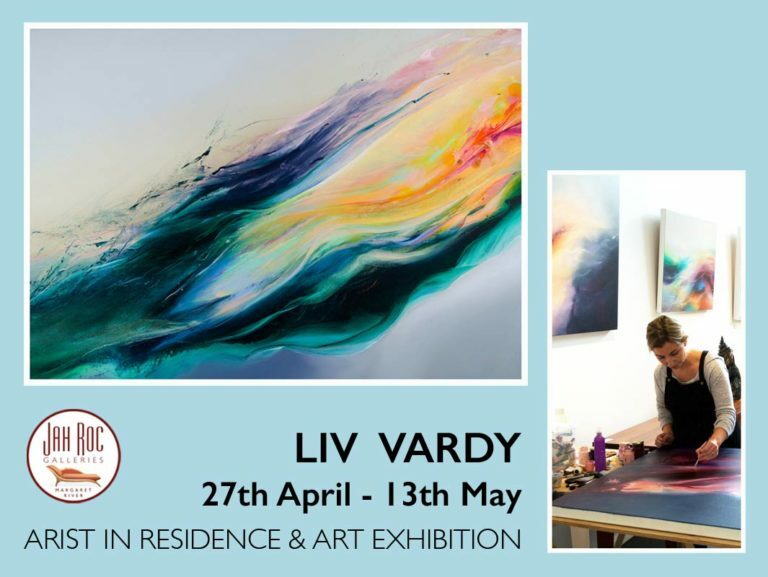 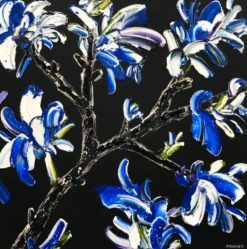 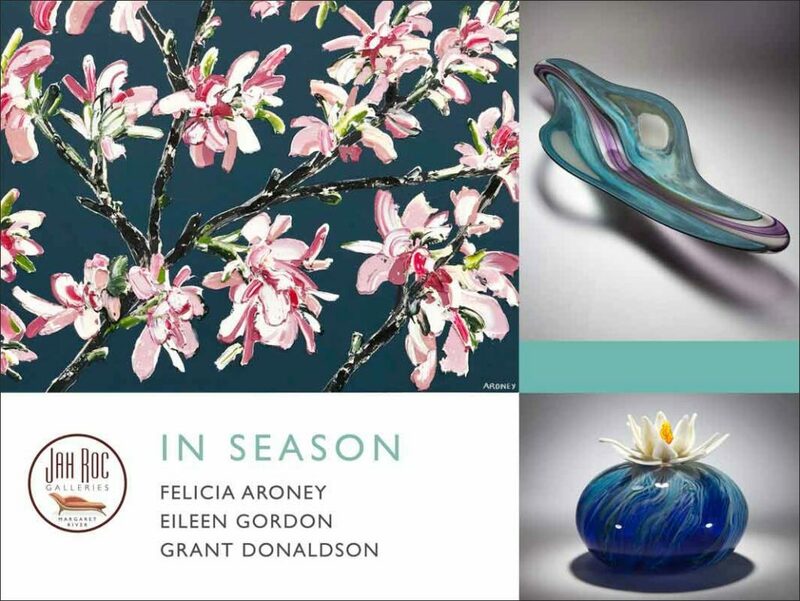 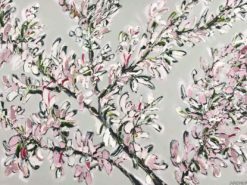 Established artists Felicia Aroney, Eileen Gordon and Grant Donaldson come together in this showing of paintings and glass art, in an explosion of dazzling colour and light. 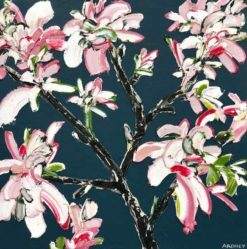 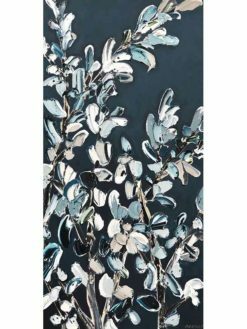 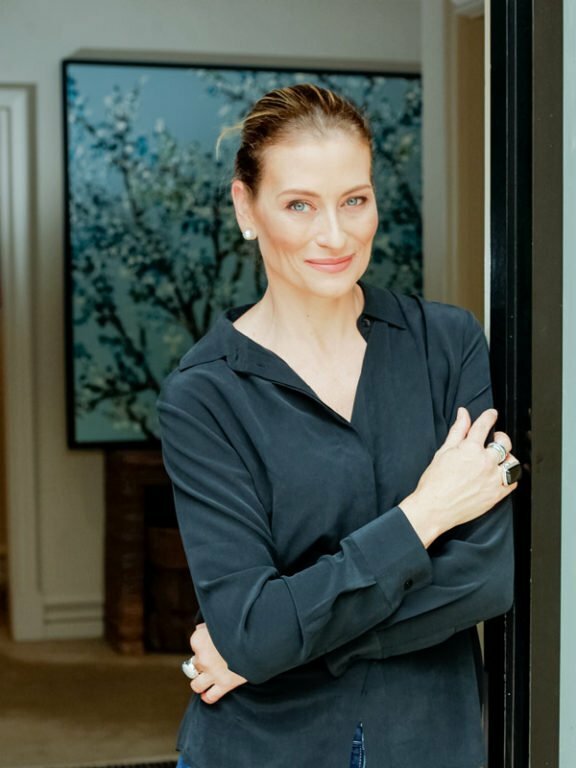 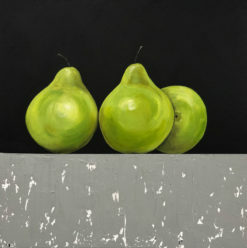 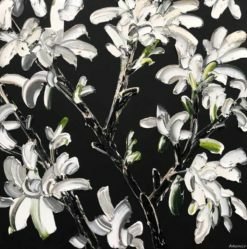 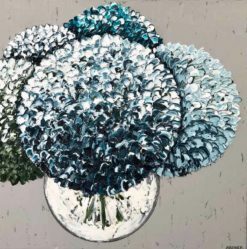 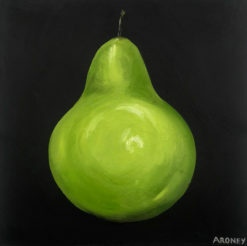 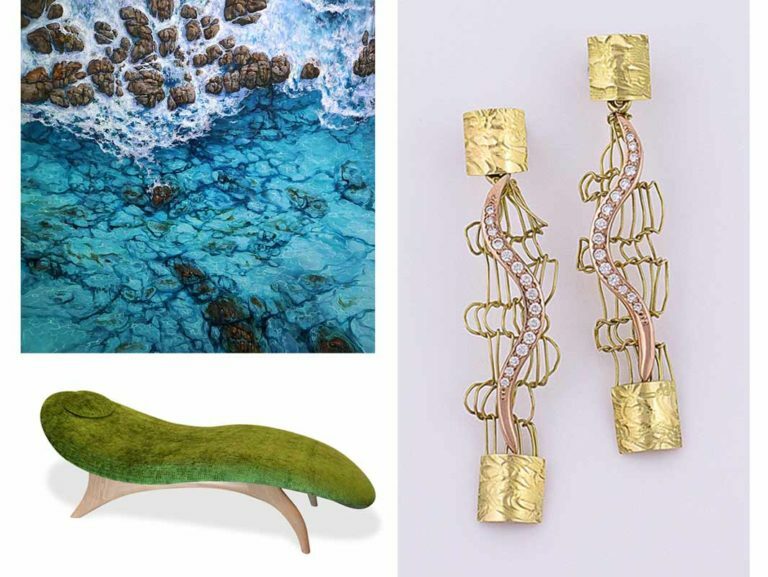 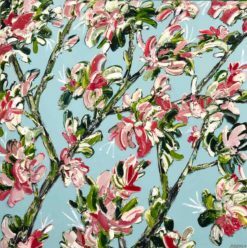 Felicia Aroney draws inspiration from the fusion of her rich Australian upbringing and her European background and travels. 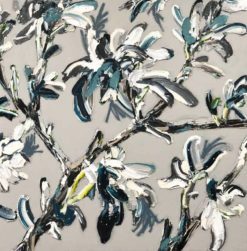 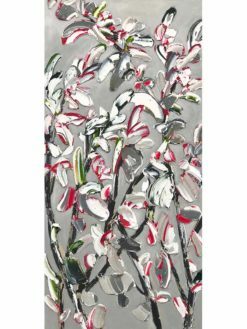 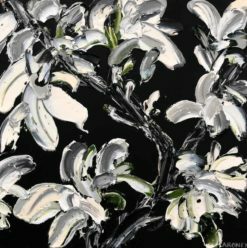 Her contemporary blossoms are luxurious, and the play of light gives movement and life to the subject. 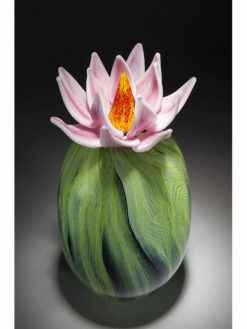 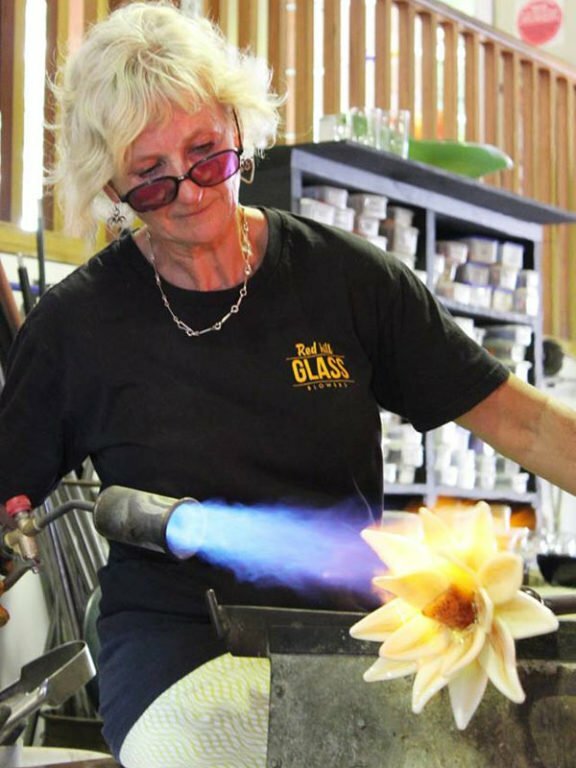 Eileen Gordon was raised in a close knit family of Glass Artists, and as a second generation glassblower she has a deep understanding of the profession. 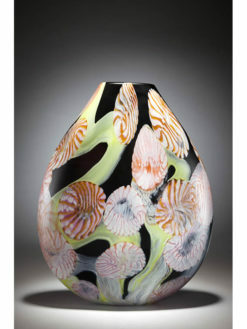 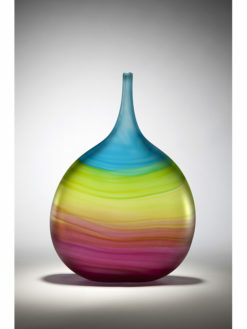 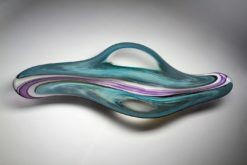 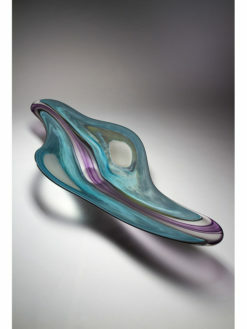 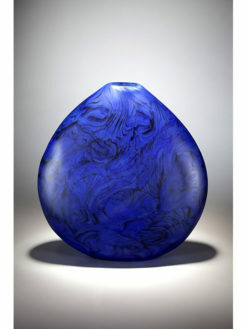 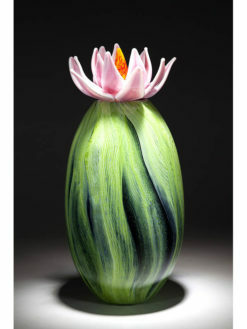 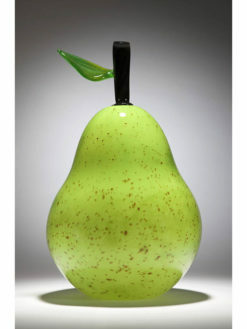 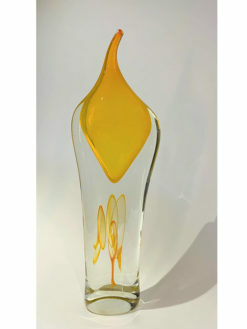 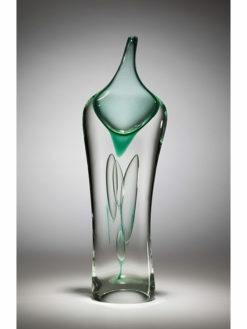 After formal training in England and Adelaide SA, Eileen has been exhibiting professionally since 1985 and over this time has earned a reputation as one of Australia’s most prominent glass blowers. 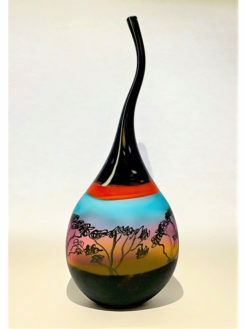 “My passion for colour and form as a fused glass artist is greatly inspired by the Australian landscape in particular of the Mornington Peninsular, the surrounding ocean, it’s sunrises and fabulous sunsets” says Eileen. 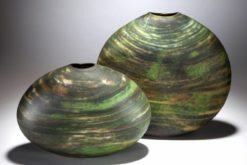 Eileen Gordon’s expression of these influences is transferred into elegant shaped vessels, platters, bottles and sculptural forms, using stunning choices of crisp, vibrant colours and patterns. 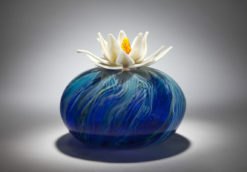 Grant Donaldson and Eileen Gordon have been a dynamic team since 1994 when Grant started his full time glassblowing career under the training guidance of wife Eileen. 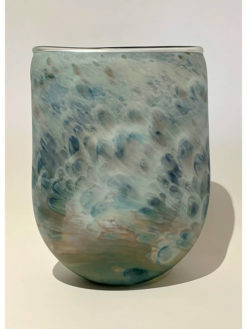 After working the land as a farmer for 15 years, Grant fell in love with glass as a medium for expressing the deep connection and understanding he feels for the Australian landscape. 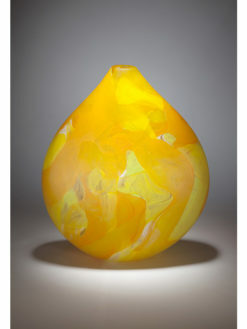 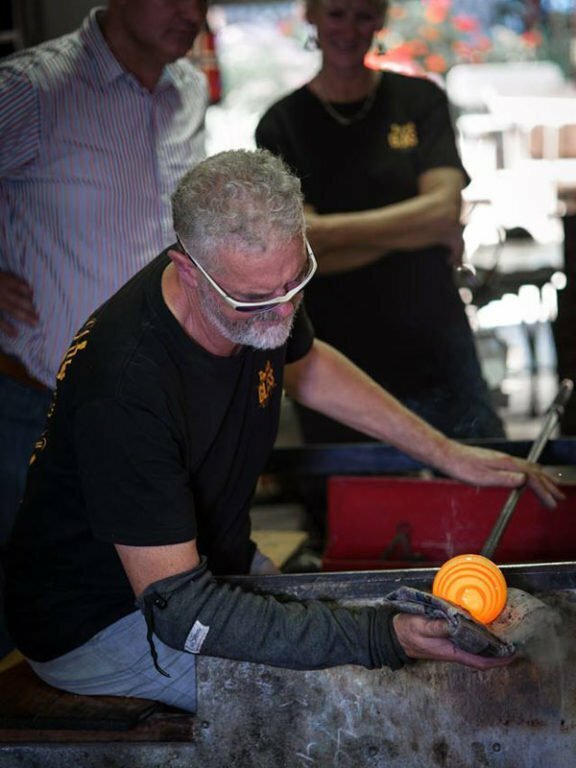 “I love the difficulties of working with glass, the dangers and thrill of exploration and experimentation – finding new and more challenging ways through the medium of glass blowing to express my feelings about the land” says Grant. 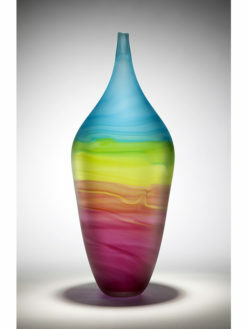 Grant Donaldson’s creative edge is well regarded as unique. 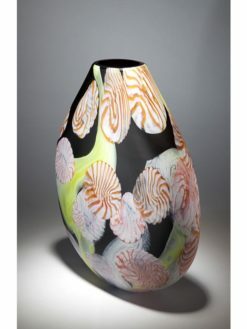 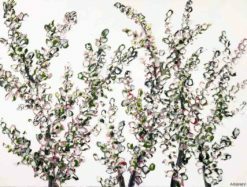 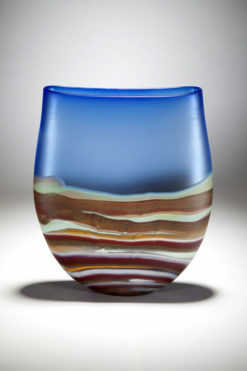 He draws on technique and experience to “tell stories” with the glass forms he creates, which often have a painterly look to them as he expresses the sense of place that each piece represents. Due to family commitments Eileen Gordon is now unable to attend the opening celebration and sends her apologies. 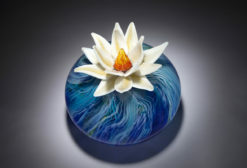 This entry was posted in Art Exhibitions, News and tagged Art Exhibition, Art Glass, Art Margaret River, Australian Artists, Australian Made, Contemporary Art, Eileen Gordon, felicia aroney, Floral Art, Floral Paintings, glass artist, Glass Artists, Glassblowing, Grant Donaldson, JahRoc Galleries, Margaret River Art Gallery, Margaret River Event, palette knife.